San Juan, Puerto Rico- After a successful end of its first NASL season Puerto Rico FC began its quest to qualify to the CFU’s Club Championship by competing in the Puerto Rican Football Federation’s Luis Villarejo Cup. For the Cup’s first round PRFC drew Guayama FC, the first match being this past Friday the 4th at Bayamón Soccer Complex. The starting XI were Trevor Spangernberg, Cristiano Dias (C), Rudy Dawson, Ramón Soria, Kyle Culbertson, Tyler Rudy, Chris Nurse, Paulo Mendes, Joseph Marrero, Héctor Ramos and Sidney Rivera. The match was a 0-0 tie until the 54th minute when Héctor “Pito” Ramos broke the Guayama defense and was able to score the first. Two minutes later Sidney Rivera increased the lead to 2-0 which ended up being the final score. On Sunday, the 6th PRFC visited Guayama to seal their pass to the semifinals with Trevor Spangenberg, Tyler Rudy, Rudy Dawson, Camilo Botero, Ramón Soria (C), Evans Frimpong, Conor Agnew, Jorge Rivera, Oliver Minatel, Brian Bement and Pedro Mendes. The match was dominated from start to finish by PRFC, especially forward Brian Bement who assisted Jorge Rivera in the first goal of the match, and his first as a pro, in the 23rd minute. Bement kept at it scoring in the 38th minute and another in the 43rd in jaw dropping fashion. The final score was 4-0 thanks to an Oliver Minatel goal in the 74th minute. Puerto Rico FC will now face Bayamón FC in the semifinals of the Luis Villarejo Cup. The first match will be on Thursday, November 10th at Bayamón Soccer Complex. 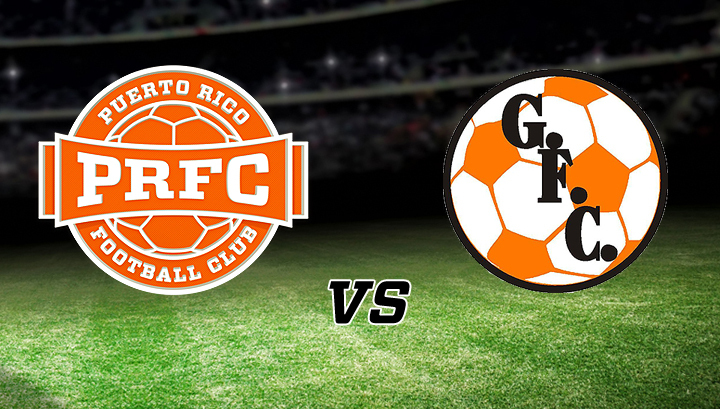 The date for the second leg will be announce shortly on puertoricofc.com. Be a part of Puerto Rico FC’s 2017 season. Get your Season Tickets now and guarantee the best prices in every category, exclusive access to the team and 15% off in our team store. Call 787-722-PRFC or visit puertoricofc.com for more information.